Pivotal is committed to strong, open platforms and healthy open source communities. We contributed our code to start the Cloud Foundry Foundation, the Apache HAWQ project, the Apache Geode project, the Apache MADlib project, the Greenplum Database project, the Steeltoe project, and continue to be the primary contributor to the Spring Framework (the most popular Java application development framework for the enterprise) and other Spring-related projects. Cloud Foundry® est une plateforme PaaS (Platform as a Service) open source, sponsorisée et dirigée par Pivotal®, qui bénéficie de contributions d'un écosystème important d'entreprises et de développeurs. Cloud Foundry propose aux utilisateurs un choix de clouds, d'infrastructures de développement et de services applicatifs afin de leur permettre de créer, tester et faire évoluer des applications. Cloud Foundry est distribué sous licence Apache. Cloud Foundry (CF) BOSH is a cloud-agnostic open source tool for release engineering, deployment, and lifecycle management of complex distributed systems. It’s designed to package, deploy, and manage infrastructure on any cloud. Though most Cloud Foundry deployments use CF BOSH, if you’re a developer, you may not have worked with CF BOSH directly. Most distributions and managed Cloud Foundry environments use CF BOSH to holistically manage the environment so that you can focus on coding and delivering business value. Spring est l'environnement de développement d'applications le plus apprécié et le plus complet pour Java Enterprise. Les projets Spring fournissent une prise en charge complète d'infrastructures pour le développement d'applications Java. Des millions de développeurs utilisent Spring pour créer des applications Web et d'entreprises modernes. Spring Framework est distribué sous la licence Apache 2.0. Kubernetes® is an open-source system for automating deployment, scaling, and management of containerized applications. It groups containers that make up a system into logical units for easy management and discovery. Kubernetes builds upon 15 years of experience of running production workloads at Google®, combined with best-of-breed ideas and practices from the community. Kubernetes is released by the Linux Foundation’s Cloud Native Computing Foundation under the terms of the Apache License 2.0. Project Reactor, sponsored by Pivotal, is a fourth-generation Reactive library for building non-blocking applications on the Java Virtual Machine (JVM) based on the Reactive Streams Specification. This foundation is used by the Spring Framework in version 5.0 and above. Project Reactor is released under the terms of the Apache License, version 2.0. The Open Service Broker API project offers developers, ISVs, and SaaS vendors a single, simple, and elegant way to deliver services to applications running within cloud-native platforms such as Cloud Foundry and Kubernetes. The “Open Service Broker API” is an API specification hosted by the Cloud Foundry Foundation (CFF). Knative (pronounced “kay-nay-tiv”) is collection of components that provides the missing building blocks that developers need to create modern, source-centric, container-based cloud-native applications. The project helps cloud service providers and enterprise platform operators deliver a serverless experience to their developers running Function as a Service (FaaS), PaaS, and Container as a Service (CaaS) workloads using Kubernetes and Istio. Apache Geode est une base de données open source, distribuées et In-Memory pour les applications évolutives. The Greenplum Database project, sponsored by Pivotal, is an advanced, fully featured data warehouse. It provides powerful and rapid analytics on petabyte scale data volumes. Uniquely geared toward big data analytics, Greenplum Database is powered by the world’s most advanced cost-based query optimizer delivering high analytical query performance on large data volumes. RabbitMQ est un système de messagerie d'entreprise complet et fiable, basé sur la norme AMQP. RabbitMQ est facile à utiliser, s'exécute sur tous les grands systèmes d'exploitation et prend en charge un grand nombre de plateformes de développeurs. Il est à la fois open source et pris en charge commercialement. Commercialisé sous la licence de Mozilla Public 1.1, RabbitMQ est la transposition AMQP la plus utilisée au monde. Concourse is a continuous integration/continuous delivery tool developed by Pivotal for use with Cloud Foundry. Concourse can be used to automatically update and patch software, and can be used to test code commits before and after deployment. Sponsored by Pivotal, Concourse was recently named one of the 10 top open source tools of 2018. Steeltoe is an open source project and is now a part of the .NET Foundation enabling .NET developers to implement industry standard best practices when building resilient microservices for the cloud. The Steeltoe client libraries enable .NET Core and .NET Framework apps to easily leverage Netflix Eureka, Hystrix, Spring Cloud Config Server, and Cloud Foundry services. Apache HAWQ is an advanced, elastic SQL query engine that combines exceptional MPP-based analytics performance and robust ANSI SQL compliance. Quickly unlock insights and drive business transformation, natively, from Hadoop data using familiar SQL semantics. HAWQ, together with the integrated Apache MADlib project for scalable in-database analytics with its data-parallel implementations of mathematical, statistical, graph and machine learning methods for structured and unstructured data, enables companies to swiftly iterate deep, predictive analytics on datasets of virtually any size - from small to enormous. MADlib est une bibliothèque open source pour une analytique évolutive interne à la base de données. Elle fournit des mises en œuvre parallèles de méthodes mathématiques, statistiques et d'apprentissage machine pour des données structurées et non structurées. ODPi is a nonprofit organization committed to simplification & standardization of the big data marketplace. It provides a framework for vendors of Apache Hadoop distributions, their ISV partners, and their end user customers to collaboratively develop reference specifications covering multiple technologies related to Hadoop. This allows for portability of applications developed for Hadoop across multiple vendors distributions, helping unite the ecosystem for the benefit of end users. Istio is an open platform-independent service mesh that provides traffic management, policy enforcement and telemetry collection. PostgreSQL, often simply Postgres, is an object-relational database management system (ORDBMS) with an emphasis on extensibility and standards compliance. It can handle workloads ranging from small single-machine applications to large Internet-facing applications (or for data warehousing) with many concurrent users; on macOS Server, PostgreSQL is the default database; and it is also available for Microsoft Windows and Linux (supplied in most distributions). Apache Tomcat est un serveur d'applications open source qui met en œuvre les technologies Java Servlet, JavaServer Pages, Java Unified Expression Language et Java WebSocket. Il alimente de nombreuses applications Web à grande échelle essentielles, (y compris celles écrites dans Spring) pour une grande diversité de secteurs et d'entreprises. Il est commercialisé sous la licence Apache version 2. Apache HTTP Server est le serveur Web le plus apprécié sur Internet. Alimentant plus de 100 millions de sites Web, c'est l'un des projets open source le plus ancien encore utilisé. Apache HTTP Server fournit des fonctionnalités d'authentification, de sécurité et de disbtribution de contenu. Il est commercialisé sous la licence Apache version 2. Eclipse Foundation est un organisme à but non lucratif, soutenu par ses membres, qui héberge les projets Eclipse. 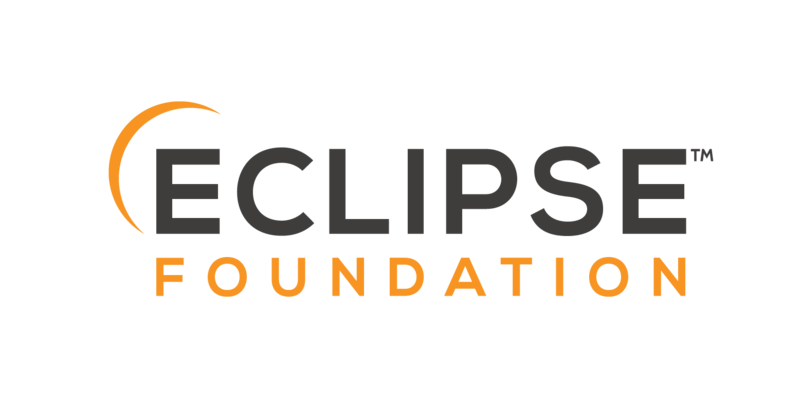 Pour en savoir plus sur Eclipse et sur Eclipse Foundation, consultez la page http://www.eclipse.org. Pivotal fait partie des solutions Eclipse de l'organisme Eclipse Foundation, et participe à plusieurs projets Eclipse, et notamment JDT Core, AJDT, AspectJ, Orion et Flux. Robolectric is a unit test framework for Android that runs tests directly in the JVM without booting the Android emulator. This saves on app development time and makes it simple to test drive an application at every stage of development. Sprout is a repeatable, documented, decomposable, shareable set of configuration scripts for development workstations. Based on Opscode’s Chef, Sprout automates standardization of workstations configuration. It can install development tools and applications, enabling development teams to create business value more quickly. 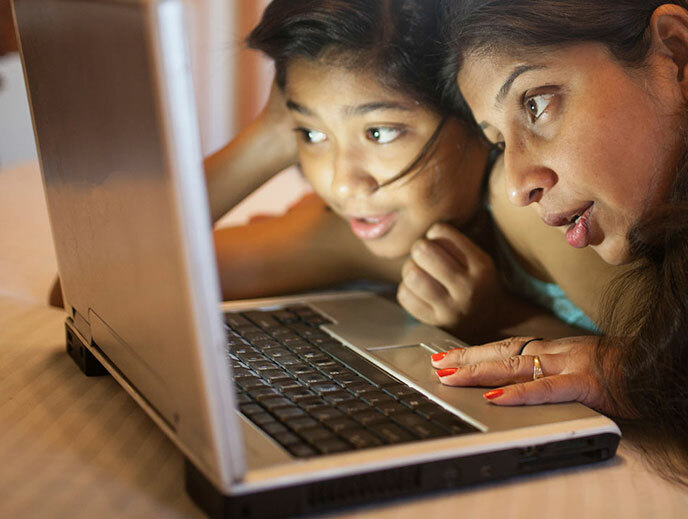 Pivotal is an annual sponsor of a summer immersion program for Girls Who Code (GWC), the organization aiming to close the gender gap in technology. By sponsoring their Bay Area program and meetups around the U.S., Pivotal wants to help GWC build the pipeline of talented female engineers. CLOUD FOUNDRY, CLOUD FOUNDRY FOUNDATION and OPEN SERVICE BROKER API and associated logos are trademarks or registered trademarks of the Cloud Foundry Foundation, Inc.. 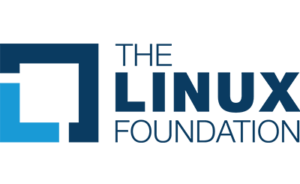 CLOUD NATIVE COMPUTING FOUNDATION, KUBERNETES, ODPI, THE LINUX FOUNDATION, TODO and associated logos are trademarks or registered trademarks of The Linux Foundation. CONCOURSE, GREENPLUM DATABASE, JASMINE, ROBOLECTRIC, LICENSE FINDER, RABBITMQ, REACTOR, SPRING, SPROUT, STEELTOE and associated logos are trademarks or registered trademarks of Pivotal Software, Inc. PostgreSQL and the PostgreSQL Elephant Logo are trademarks or registered trademarks of The PostgreSQL Community Association of Canada. ISTIO, KNATIVE and associated logos are trademarks or registered trademarks of Google LLC. APACHE, APACHE GEODE, APACHE HAWQ, APACHE MADLIB, APACHE TOMCAT, the Apache Feather and associated logos are trademarks or registered trademarks of The Apache Software Foundation. ECLIPSE FOUNDATION and associated logos are trademarks or registered trademarks of the Eclipse Foundation.